Over the last 40 years, Huff ‘N Puff has built a reputation while serving 35,000 homeowners on different home improvement projects. Our customers know they can count on us to be honest, transparent, hard-working professionals that will only do what is best for their homes. 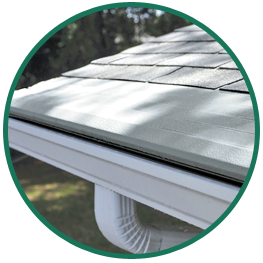 When you need anything from seamless gutters to window replacement in Montgomery County New York, choose the company with affordable prices, unparalleled customer service and the best workmanship in the industry. We’ve recently expanded our services to serve our customers with more than just windows in Amsterdam, NY. We can help you with a variety of projects around your home that work to protect your biggest investment from the elements. When you choose Huff ‘N Puff for the following services, you can believe that your home is safe and strong. The products we offer are the best on the market, and always installed by certified professionals to protect your warranty. We take our time with each job to make sure it is done right even as we work in a timely manner to minimize your inconvenience. From gutters to windows to doors, you can count on us for professional opinions, a wide range of options and prices that fit within your budget. Our customers are impressed with our commitment, our quality work and our exceptional customer service. No matter how big or small the job, we treat it as the most important thing we are doing. We will always treat your home as if it were our own, and protect your biggest investment with the best we have. We simply aren’t satisfied or finished with the job until you are completely happy with our work. Make your home a more comfortable, secure safe to be with Huff ‘N Puff. Call us today at (855) 483-3678 to request a quote.